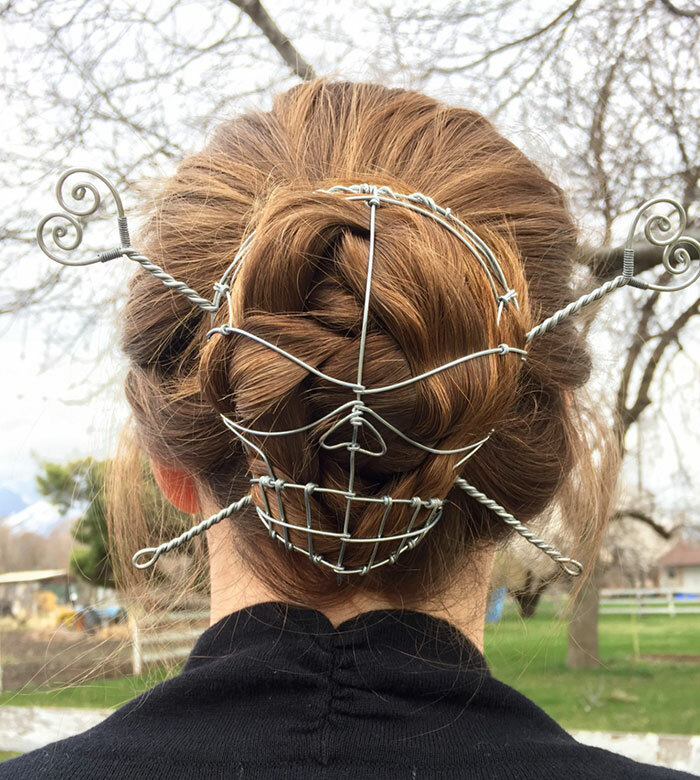 Kyle Wyatt creates unusual hair accessories, and this skull & crossbones bun cover is a great example of the artist’s unique work. 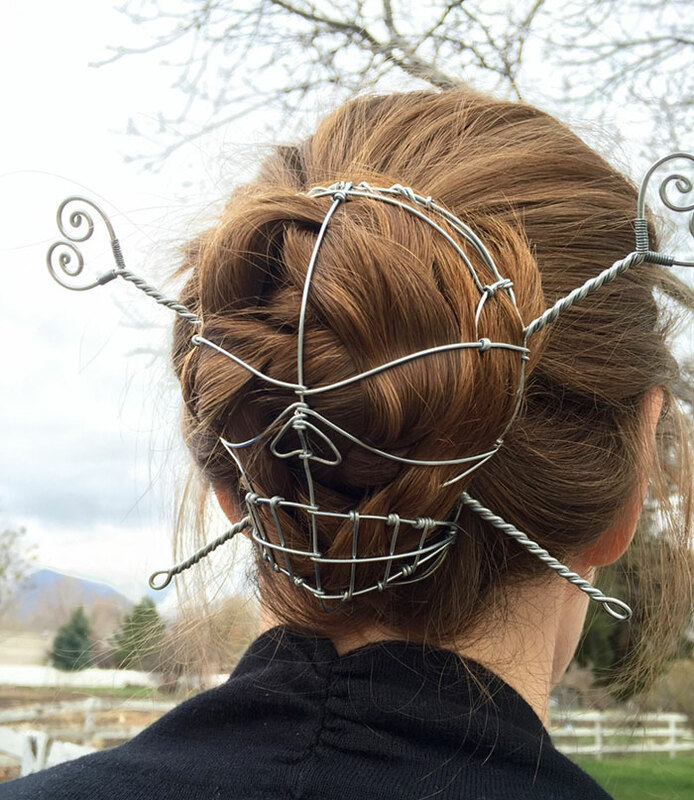 Kyle usually designs the pieces using various metals and decorates them with colorful beads. You can check out Wyatt’s original projects on Etsy.